Price Range £228 - £1500Price RangeSimply drag the slider bar to set your price range. 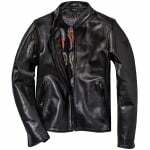 I'm lucky to have a few leather jackets, including a Vanson. 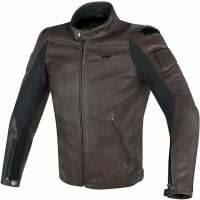 This Nera 72 is a much more wearable, soft, shimmering rockers classic jacket and because it doesn't have a less stud collar, you can wear it as much off the bike to a concert, the pub or with the decent armour out, just anywhere discreetly but in style. It feels and smells great. I'm a 46" chest and 6'2 with a 37" waist and it fits as well as jackets made to measure for me. I know I'm a Dianese 56 from experience. Love the fit. 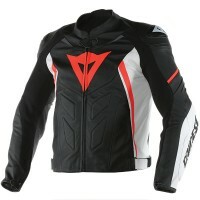 At an amazing price and overnight "proper courier" delivery from Sportsbikeshop who seem so professional too. I am 56, 5'10" in height, weigh 11st 7lbs, measure 39" chest, 36" across my belly, 34-35 waist, 32" inside leg and the thickest part of my thighs is around 21-22". I normally wear 32/32 jeans and work trousers which do not require a belt. Basically a relatively healthy weight with a slight middle age spread belly. These measurement were taken after the Christmas break and I am carrying 4-5 pounds on my usual weight and an inch across the waist - which will be gone (hopefully) by May. 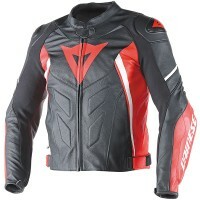 The options included Weise Hydra, Dainese and some of the more budget leathers like RST. Had a look at the Alpine Stars and was disappointed (but not surprised) by their products. 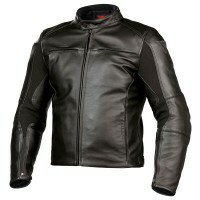 The Weise was ok, good quality very hard wearing and well-made but the fit in my closest size was too loose. 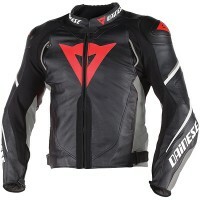 The folks at MK immediately cottoned on to what I was after and presented me with a Dainese Fighter jacket. I had not noticed this during the extensive and time consuming trawl through the websites. 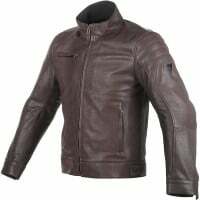 I was immediately impressed by the quality and found the 40 UK size was a perfect fit, the cut was just right, it had an internal and two external pockets and a detatchable thermal liner. 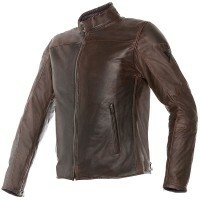 The leather quality was better than the other manufacturers . 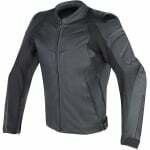 This is not a jacket that has been widely hyped but for me was the best compromise ticking most of the boxes. I am a fairly slim 5' 8", 40" chest and 32 waist and this jacket is the best fitting motorcycle jacket I own. 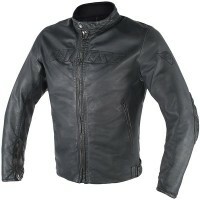 It is my third Dainese jacket and fits like a regular leather jacket, with lovely sturdy leather and just enough give. My only comment is that the cuffs are a little wide, so getting a gauntlet glove on takes a little effort... but that is the very slightest of gripes and if I could I would buy another couple to keep in the wardrobe... you know...? Just in case.